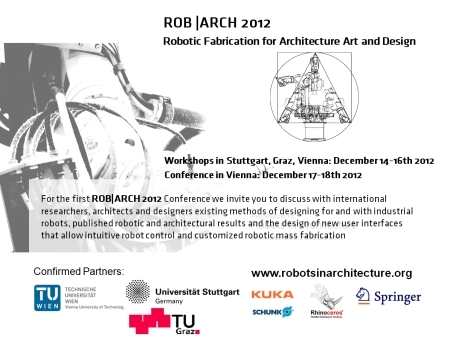 Robots in Architecture just announced the dates for the first ROB|ARCH conference & workshops in 2012! See also the video about the Robot Master Class held at the Design Modelling Symposium Berlin. And very soon the parametric robot control plugin for Grasshopper (KUKA|prc) will be available here.